Home > US Sports > NBA > What qualifies a coach to be fired? He can’t do this. He can’t do that. Why are some people so critical against coaches and fire them if they did well or not? One day, I’d like to be a head coach myself for a high school basketball team. People who love sports fail to realize that being a head coach comes with a lot of responsibility and it’s a process. For example, if you’re a college football head coach, and you’re inheriting a team that hasn’t been in the national spotlight for a while due to losing seasons, there’s going to be a heavy burden on the coach because he’s being pressured to win immediately. Let’s take the Florida Gators as another example. After the firing of former Gator head coach Will Muschamp, who is now the defensive coordinator at Auburn, Jim McElwain, the new Florida Gators head coach, must restore Florida football so it can return to its glory days. For those who don’t know who Jim McElwain is, he was named the Mountain West Conference Coach of the Year in 2014 after leading the Colorado State Rams to a 10-2 record. Also, he was the offensive coordinator for the Alabama Crimson Tide from 2008-2011 under head coach Nick Saban. I will say this; the pressure is on McElwain to win because of the high expectations that are set at The University of Florida. The only way this will occur is if he gets the athletes. To get the right athletes to come to the school, the coach has to put together the right coaching staff. McElwain has already hired former Arkansas linebackers coach Randy Shannon, former Michigan offensive coordinator Doug Nussmeier and former Mississippi State defensive coordinator Geoff Collins. These are great hires because Randy Shannon, who coached the Miami Hurricanes from 2007-2010, consistently had recruiting classes that ranked among the nations best with elite talent from the South Florida area. The 2008 Miami Hurricanes recruiting class was ranked number two with key pieces that included Brandon Harris, Sean Spence, Jacory Harris, Aldarius Johnson, Marcus Forston and a few others. Randy Shannon will fit well with the Florida Gators because the school has been lacking the talent when it comes to the offensive side of the football. I understand why Will Muschamp was fired, but I just can’t come to the conclusion of why Mark Jackson, the former Golden State Warriors head coach, was kicked to the curb after going (51-31) finishing second in the Pacific in the 2013-14 season. Was it because he lost in the first round of the playoffs? What was it? 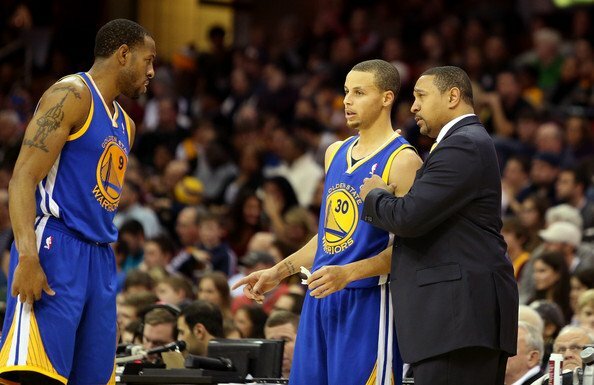 Since Mark Jackson took over the Golden State Warriors in 2011, he turned Golden State into a playoff contender and a title team. The way Stephen Curry, Klay Thompson and Andrew Bogut are playing this year under new head coach Steve Kerr, imagine what Mark Jackson could’ve did in his fourth year if he were still the Golden State Warriors head coach. Did I mention the Warriors have the best record in the NBA currently at 40-9? In his three-year stint with the Warriors, Jackson went 23-43 in 2011, to 47-35 in 2012 and then won 51 games in his last year with the team in the 2013-14 season. Every year, Mark Jackson improved the team’s play and wanted to do something special for the fans in Oakland, Calif.
Why was he fired? But, the real question I want answered is, “Why are coaches such as Mark Jackson fired with a winning record?” I also wanted to throw in that former Denver Broncos head coach John Fox was on his way to the Superbowl before his quarterback Peyton Manning injured himself. Why was Fox fired after he posted a 49-22 overall record and had four consecutive division titles with the Broncos? Better yet, what qualifies a coach to be fired?